Every parent has concerns about how they will pass on their assets to their loved ones in the future but there are many more complications when you have a child who is struggling with mental illness or with addiction issues. Many parents who find themselves in this situation may feel overwhelmed by the process of caring for these children and therefore, avoid thinking about how these children will be taken care of when the parents are gone. Estate planning might differ in this situation when compared with another type of family. There are a couple of important steps that you need to take in order to plan appropriately for the future. Whether the child is affected by addiction or mental illness, they may never fully recover from this condition and this is why it is important to think about using tools such as a trust in order to strategically allow access to them for support. Not distributing the assets directly to your children means that they will most likely be invested with an experienced financial advisor with the ideal purpose of the money growing. In the event that the mental illness or addiction problem gets worse, this allows for more resources to fight the addiction. If the addiction problem is abated, however, the trustee may be able to help the child with new endeavors such as education or job opportunities. Careful planning should always go into any situation in which there is mental illness or serious concerns about addiction or spendthrift behavior. A trust may be the most appropriate way to plan for this- ask your Virginia estate planning attorney for more information. Caregivers of people with serious illnesses, particularly cognitive issues of the elderly, have a lot on their plate, but they also have an obligation to make future legal preparations for their loved ones. “As a caregiver, you should begin making legal preparations soon after your loved one has been diagnosed with a serious illness,” states an article on the webmd website. “People with Alzheimer’s disease and other long-term illnesses may have the capacity to manage their own legal and financial affairs right now. But as these diseases advance, they will need to rely on others to act in their best interests. This transition is never easy. However, advance planning allows people with a long-term disease and their families to make decisions together for what may come. Technology can’t halt the aging process, but a Huffington Post piece points out that it may change the way people grow older. Confidentiality, which is at the very heart of all attorney-client matters, simply means the lawyer may not share any information with other family members unless given permission to do so. The final “C” is a special ethical responsibility when handling the legal affairs of older clients, according to the newsletter. “Lawyers must treat the impaired person with the same attention and respect to which every client is entitled. This means meeting privately with the client and giving him or her enough time to explain what he or she wants. It should never happen again. And whether it’s by passage of a new law or a rule change at the Virginia Bureau of Insurance, maybe it never will. A recent story in the Richmond Times-Dispatch brought to light the plight of people left without long-term care for the elderly. The story focused on the Pirron family. For more than a decade, David and Anne Pirron paid almost $400 in premiums a month long-term-care policy offered by John Hancock Life Insurance Co.
“Their son, Michael Pirron, had helped them research a policy, and later he was added as a third-party designee so that he also would get notices about changes to the plan,” according to the story by Tammie Smith. “To his surprise and dismay, Pirron said he was told the plan had been canceled seven months before because of nonpayment,” Smith wrote. “Apparently his father, who had begun to show some of the cognitive impairments of Alzheimer’s, had inadvertently canceled the automatic payments while intending to cancel another automatic bank draft. Pirron said the company that wrote the policy sent letters to his father, who just stuffed them into a drawer. As the third-party designee, Pirron was supposed to get notices as well. The insurance company said a separate letter was sent to him, but Pirron is adamant that he never got anything. If he had, Pirron said, he would have corrected the matter. Although nothing can now be done for his parents, Michael Pirron has been working to get a bill passed in the state’s General Assembly that would force long-term policy insurers to notify third-party designees by certified mail when a policy is canceled. “The bill this year, House Bill 719 sponsored by Del. Jennifer L. McClellan, D-Richmond, was considered by a House subcommittee in January but did not make it out after state insurance officials said they would work on an administrative fix,” according to the Times Dispatch. “The state Bureau of Insurance … filed a notice of a proposed rule change that addresses Pirron’s concern about third-party designees getting notices. The proposed change also requires companies to keep receipts showing cancellation notices were sent. While in-home care for elderly parents or other relatives may be a kinder approach than placing them in a nursing facility, it can also be a very pricy proposition. A recent Caring.com article offers some creative approaches to affording this option. Among the advice on making this sort of care more affordable are reversible mortgages, pensions for veterans that may have previously gone untapped and making alterations to life insurance policies no longer needed to care for others. “The way this works is that your loved one sells the policy back to the issuing agency for 50 to 75 percent of its face value, an amount determined based on the amount of the policy, the monthly premiums, and the policy holder’s age and health,” the article stated. “There may be restrictions; some policies can only be cashed in if the policyholder is terminally ill. But many are quite flexible. And if yours isn’t, there are settlement companies that will buy the policy, also at 50 to 75 percent of face value, then pay the premiums until the policyholder’s death, when the company will collect the benefits. An elderly New York State woman thought she was doing the right thing for her grandchildren. A court ruled otherwise, in a case of estate planning gone horribly wrong. The woman, Lillian Hellman, sought to have four annuities, which she obtained in her name with her in control of the accounts, transferred to each of her grandchildren, making her insolvent and eligible for Medicaid once she had entered a nursing home. Not so fast, nursing home officials said, and a court agreed with them, according to an article on the website elderlawanswers.com. “In 2000, Lillian Heather purchased four annuities for each of her grandchildren as part of her estate plan,” the website stated. “The annuities named the grandchildren as annuitants and beneficiaries, but Ms. Heather retained control of the accounts. Ms. Heather also appointed her grandchildren as her attorneys-in-fact under a power of attorney. 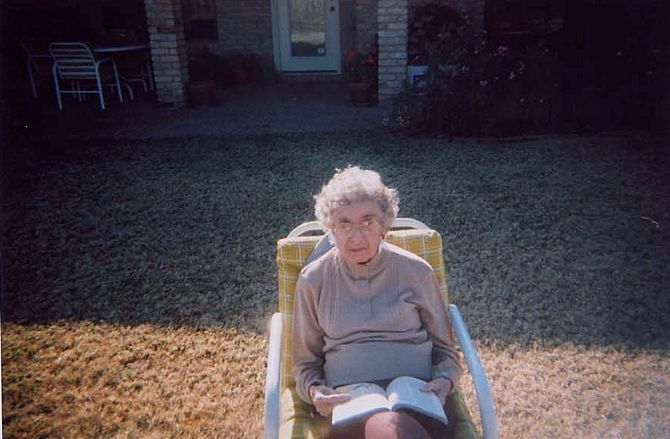 In 2006, Ms. Heather entered a nursing home. One granddaughter, Kristin Goldman, signed the admission agreement as her designated representative. After entering the nursing home, Ms. Heather annuitized the annuities and the full value was transferred to the grandchildren. She applied for Medicaid benefits, but the state denied benefits because she had transferred assets for less than fair market value. The New York Supreme Court in Queens County sided with the Chapin Home for the Aging to the tune of $287,893.95.